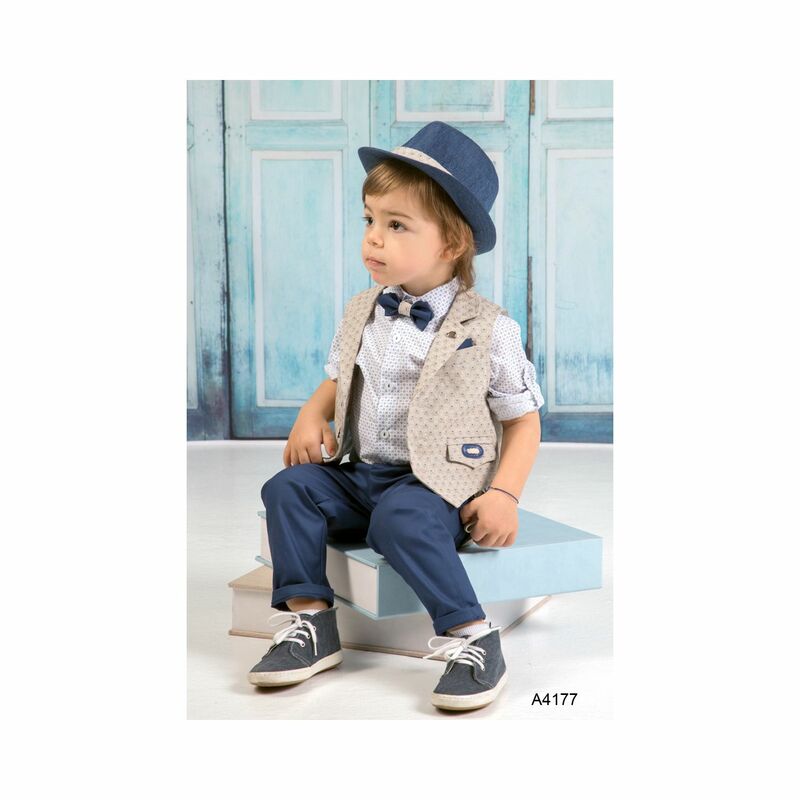 Spring or summer baptismal clothing for your little boy. Beautiful color combinations to choose what suits you. Trousers are cotton in two shades of blue, an open and a very dark blue. Both are combined with a white shirt with a clever smashing of his sleeves with a button and a beautiful pattern on his cloth. One vest is in gray with red details and the other in beige with blue details in their pockets. 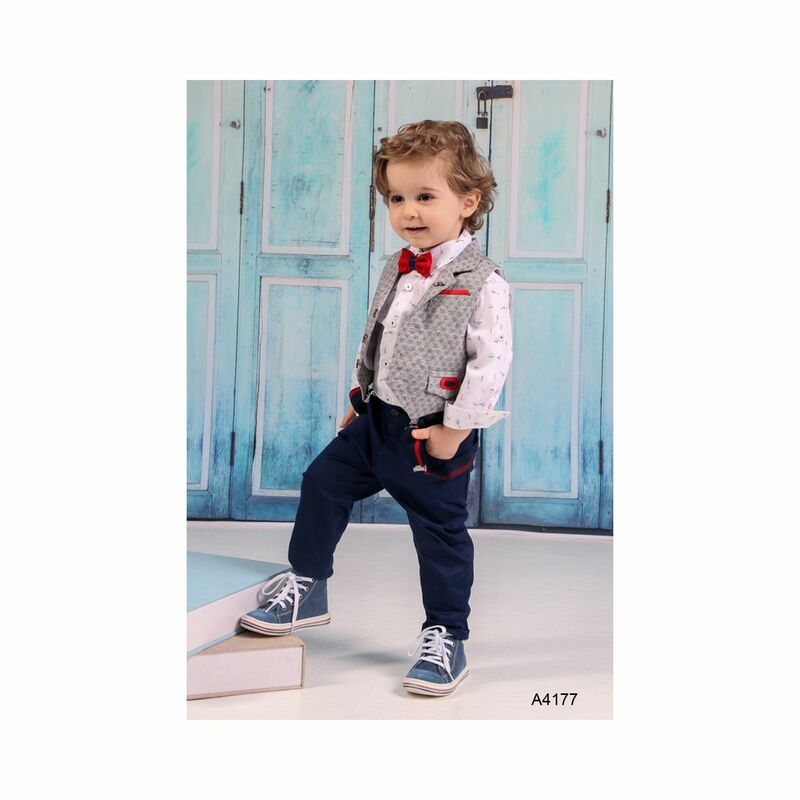 Both sets are embellished with straps hanging from the outside in a very modern style, and a cloth bow tie. 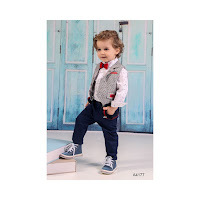 https://www.preciousandpretty.com/2018/07/greek-baptism-clothes-for-boys-A4177.html Greek Wedding Favors|Orthodox Crowns|Stefana|Baptism Invitations Greek baptism clothes for boys A4177 Greek Baptismal clothes in beautiful color combinations. Product #: Greek Wedding Favors|Orthodox Crowns|Stefana|Baptism Invitations_2379155437695222019 5 stars out of 5 reviews.